Denunciations of terror attack in Arabic? Really? When Israel haters need to find an easy "proof" that Jews and Zionists are racists, they go to Facebook or YouTube or any other uncensored comment forum and find some convenient anti-Arab or anti-Muslim bigot to quote. It is a lazy way to pretend to make a point, because every group has some idiots so the existence of idiots is used to generalize about the entire group. They ignore the denunciations of the bigots on those same forums, because that would ruin their thesis. Of course, these "progressives" are engaging in stereotyping, and obvious dishonesty, which is a major crime when anyone else does it, but that doesn't matter to them. They pretend they are revealing a "higher truth," which is pretty much how they justify their own bigotry. But in the aftermath of this morning's terror attack, and most* others, there is something striking about the Arab comments on various venues. They are unanimously supportive of killing Israeli civilians. I cannot find a single naysayer, a single person who says that killing a father of five standing at a bus stop is wrong. On the contrary, they will often try to justify it as a "right" or as if it is an obligation under international law. Today’s violence in Israel and the Palestinian territories contains some uncomfortable truths for Israel’s detractors, but also serves as a helpful microcosm of the larger conflict. A 30-year-old Israeli man, Eviatar Borovsky, was stabbed to death at a bus stop at Tapuach Junction by a Palestinian man, who was captured by border guards and taken into custody. A few hours later in Gaza, Haitham al-Mishal, a Palestinian involved in the production of rockets, was killed in a targeted strike by the IDF. Who was killed? The Israeli victim was a father of five waiting at a bus stop. The Palestinian victim was reportedly a manufacturer of rockets for use against Israeli civilians and employed by Hamas, according to the terrorist group itself. He was, according to the press here and in Israel, involved in the recent rocket attacks against the Israeli city of Eilat. Who carried out the violence? The Palestinian perpetrator at Tapuach Junction is reportedly a repeat offender of acts of violence against civilians, having been released from prison in Israel about six months ago. On the Israeli side, the military was employed to take out a military target in Gaza. Why did they do it? The IDF was responding to rocket attacks from enemy territory against its own civilian population. The Palestinian attacker at Tapuach Junction has a history of violence against Israeli civilians, and his brother is apparently in a Palestinian prison, having been accused of cooperating with Israeli authorities. How did they do it? The IDF carried out a targeted strike designed to kill an active terrorist and avoid collateral damage and civilian casualties. The Palestinian assailant at Tapuach Junction carried a knife unchecked to the bus stop after the Israeli government removed a checkpoint near the area to allow Palestinians in the West Bank more freedom of movement. This was not the first such attack on an Israeli civilian at that location since the checkpoint was removed; an Israeli teenager was stabbed by a Palestinian at the junction in January. The attacker stabbed the Israeli, grabbed his weapon, and according to some accounts shot him at close range. He then fired at nearby border police, who returned fire and succeeded in subduing him. The victim, who was said to be about 30 years old, was declared dead at the scene after MDA paramedics’ resuscitation efforts failed. The attacker was evacuated to Beilinson hospital in Petah Tikva in moderate condition. An Israeli settler has been killed by a Palestinian at a bus stop in the northern West Bank, police say. Notice how the Israeli victim is described as a “settler” in both the headline and the article. If the BBC is prepared to use politicized terminology to describe an Israeli civilian then presumably, shouldn’t it also describe the Palestinian in similar terms for consistency? While the BBC should refer to the Palestinian as a terrorist, it is noteworthy that the attacker is not even referred to as a “militant” or “activist.” He is simply a Palestinian. Yet, by referring to the Israeli as a “settler,” the BBC is already acknowledging that the Palestinian must have been motivated to carry out the attack for nationalist rather than criminal reasons. Evidently, murdering someone for nationalistic reasons is not an act of terrorism, extremism or militancy. 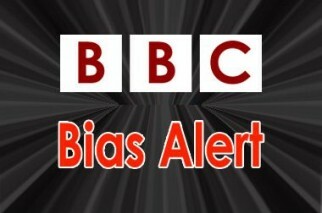 The BBC’s indifference to Israeli victims of terror who happen to live in the West Bank reached its nadir in March 2011 when a mother, father and three of their children, including a three-month old baby, were stabbed to death by Palestinian terrorists in the West Bank settlement of Itamar. Looks like nothing has changed at the BBC then. 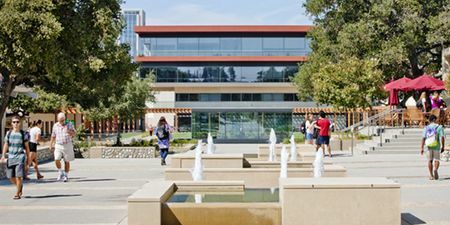 Here is a little story: Claremont McKenna College is a private institution near Los Angeles. On March 4, Students for Justice in Palestine (SJP) held a “West Bank checkpoint simulation,” for which they had written permission from the Dean of Students, Mary Spellman. The simulation consisted of blocking the entrance to the college dining hall and rudely demanding that students show their IDs in order to enter. One wonders what went through the mind of the dean — did she see educational value in this activity? In any event, a student was distressed by the event and called an Israeli Economics professor, Yaron Raviv, who went to the dining hall. He reported he arrived to find students blocking the entrance, so he asked the dining hall manager to move them away from the door. Exactly what was said remains unclear, but campus officials’ probe into the incident – during which nearly a dozen witnesses were interviewed – indicates that’s roughly the exchange between the two. Raviv told administrators the “hunt you down” comment was particularly offensive because of his Jewish heritage, according to the review. Hamideh, for his part, denies saying it. The first thing that I want to say about this is that when I went to college in the early 1960′s, such a demonstration would not have been permitted, because the administrators would quite correctly assume that it would have turned into a brawl. Jewish students would have found it offensive enough to push back physically, right away. The second thing is that it is interesting how the incident immediately became a contest about who made the most ethnically offensive remark. Is it worse to tell a Jew that you will ‘hunt him down’ or to call a Palestinian a ‘cockroach’? In his defense, Raviv argued that Israelis don’t call Palestinians ‘cockroaches’, and anyway he had no way of knowing Hamideh was Palestinian (he had grown up in the US and had no accent). On the other hand, said Raviv, it was obvious that he was Israeli and likely Jewish. Everyone involved knew that there is no greater sin in their world than making an ethnic/racial slur. Even a physical threat. 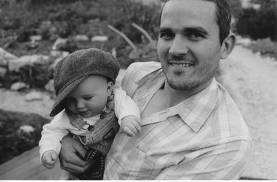 Update: Today's murder victim was Aviyatar Borovsky Hy"d, a resident of Yitzhar, father of 5 children. According to Ynet the terrorist is a Fatah operative from a village near Tulkarem. He was imprisoned in Israel for three years after being convicted of stone throwing and was released less than six months ago. Jerusalem Post says the victim is 32 years old and the father of five. The BBC says the attacker is from the Palestinian Arab town of Tulkarm. YNet's report reminds us of a previous stabbing at the same location in January 2013 (we wrote about it here). Then, the victim was a teenage boy who survived with light to moderate injuries. 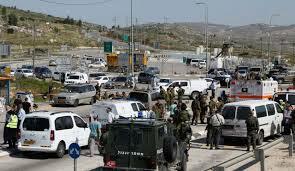 The attacker, a terrorist in his twenties from Ramallah, was apprehended. Gideon Levy’s dream is the triumph of hope over experience. The 650,000 Jews ( Sephardi and Mizrahi) who sought a haven in Israel and now form a 52 percent Jewish majority – some 300,000 others went to the West – did not escape violence and repression in Arab states in order to find themselves once more under Arab-Muslim dominion. Been there for 14 centuries, done that, got the blood-stained T-shirt. One state for two peoples? It has already existed for a while now. More than two peoples live in it – Jews and Arabs; ultra-Orthodox Jews; religious Zionist and secular Jews; Jews of Middle-Eastern descent and Jews of European descent; settlers and Palestinians. (…) This, though, is how an imaginary, just state would appear: It would grant everyone the right to vote, and have a democratic constitution that would protect the rights of all communities and minorities – including an immigration policy like that of all other nations.Such a state would have a legislature that would reflect the mosaic of the country, and an elected government formed by a coalition of the communities and the two peoples’ representatives. Yes, a Jewish prime minister with an Arab deputy, or vice versa. Levy’s Utopian ‘state of all its citizens’ will replace Zionism with ‘something infinitely more just and sustainable.’ In his dream, the lion will lie down with the lamb and all threats will dissipate. Foreign aid will flood into this cross-confessional nirvana. One can assume that ‘an immigration policy like all other nations’ will not privilege Jews over Arabs. Very quickly, Arabs would become a majority, Hatikva would cease to be the national anthem, and the Jews will be forced to give up their national state. Levy’s solution has already been tried. It has failed. Lebanon was a mosaic state, but following a bloody civil war, it is little more than a precarious collection of quarreling sects on the edge of another precipice. The Maronite Christians have become a beleaguered minority, prefiguring what will happen to the Jews of Israel. Who said the definition of insanity is proposing the same solution but expecting different results every time? Gideon Levy’s dream is the triumph of hope over experience. The 650,000 Jews ( Sephardi and Mizrahi) who sought a haven in Israel and now form a 52 percent Jewish majority – some 300,000 others went to the West – did not escape violence and repression in Arab states in order to find themselves once more under Arab-Muslim dominion. Been there for 14 centuries, done that, got the blood-stained T-shirt. To all intents and purposes, the Arab world is now judenrein. The fewer the Jews in the Arab world, the greater the Jew-hatred. Friends of Israel are watching to see what happens when a foreign leader crosses what President Obama defined as a red line, as he did in Syria. If the answer is nothing, they’ll have a better grasp of what they can expect out of the administration on Iran. But there should be no doubt about who set this red line about what is going on in Damascus. It wasn’t Israel, Netanyahu or the pro-Israel community in the United States. We never asked, nor did we encourage, the United States to take military action in Syria. And we are not making any comparison or linkage with Iran, which is a completely different matter. Israel’s position on Syria is, if anything, even more complicated than America’s. Their main interest is in keeping the border with a state that is still technically at war with them quiet. Though Bashar Assad was a butcher whose regime has slaughtered tens of thousands of his own people just like his father Hafez was before him, Israel has stayed aloof from the conflict in that country. Assuming Bashar does actually fall some day, most Israelis are far from confident that the next Syrian government will be any less hostile than that of Assad. Indeed, with al-Qaeda-allied elements, it may be even worse. 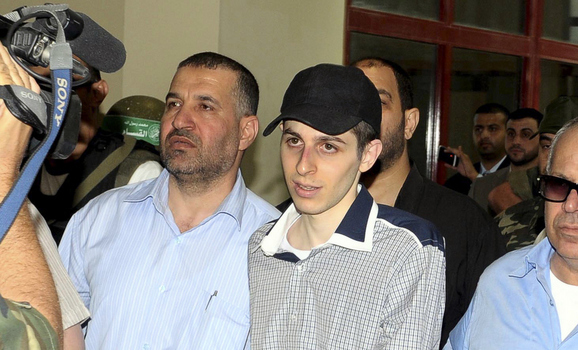 Hamas Planning To Kidnap More Israelis - And the Lesson Learned Is? On April 17 every year, Palestinians commemorate Prisoners’ Day. But what was unusual this year were statements by Hamas leaders claiming that the only means to release Palestinian prisoners was by forcing Israel to exchange prisoners. That was said by the head of Hamas’s political bureau, Khaled Meshaal. Prime Minister Ismail Haniyeh in Gaza made a speech that untied the hands of the Al-Qassam Brigades to resolve the prisoners’ issue and end their tragedy and suffering. He praised the successful kidnapping of Israeli soldier Gilad Shalit and holding him for five years. "The imprisonment of Shalit by the Izz al-Din Al-Qassam Brigades, and the completion of the [prisoner] swap deal in exchange for his release, is evidence that this file is one of the open files in our central conflict with the occupation. The occupation will not enjoy security and stability as long as our prisoners remain in their prisons, being tortured in the ugliest of ways," he said. The Vice-President of the Legislative Council, Ahmed Bahar, advised the armed factions to “set in motion their options” to liberate Palestinian prisoners from Israeli jails by all means necessary. The Prisoners’ Minister Atallah Abu al-Sabah stressed the necessity to activate the resistance option in the West Bank and the Gaza Strip because it is the most effective way to release the prisoners. When Israel agreed to conclude a prisoner exchange deal with Hamas, it opened the latter’s appetite to repeat the experience by kidnapping more Israeli soldiers or settlers. One of the fundamental things that we are trying to do at Israel Thrives is simply rethink the conflict. Two things, to my mind, could absolutely not be more clear. The first is that the vast Arab majority in the Middle East, including those in Gaza, Judea, and Samaria, have no intention whatsoever of giving up the long war against the Jews. If that much is not clear by now, I cannot even begin to imagine what it will take for people to acknowledge the obvious. The second thing that is absolutely clear is that the very way we speak on the issue is detrimental to the Jewish people because the language that we use comes from our enemies. We need to wrap our brains around this notion, because it’s harming us and harming Israel. This war, as much as it is anything else, is a cognitive war. The Arab war against the Jews in the Middle East started off as a street fight by the Arab majority against the indigenous Jewish population. 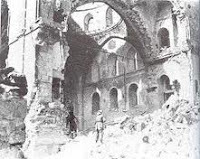 It started in 1920 with riots and pogroms against the Jewish minority, turned to a civil war in November of 1947, became a conventional war (the kind with tanks and formal armies) between between 1948 and 1973, after which it is characterized by terrorism and the international effort to delegitimize both the Jewish people and the Jewish state. A major element in the delegitimization process is the use of language. Terms like “Occupation” or “West Bank” or “Israel-Palestine” are terms that determine the outcome of the discussion before the discussion even begins, because they immediately, and falsely, suggest Jewish guilt. I’ve talked about this kind of thing before, but it’s vital and needs to be emphasized. The terms above are central to our conversation around the Arab-Israel conflict, yet they are terms which automatically suggest Jewish guilt and Arab innocence. That would be fair enough if these terms reflected actual or historical reality, but they do not. What they represent are Arab and Soviet propaganda terms designed specifically to put the Jews and Israel back on our heels in the face of toxic anti-Semitic, anti-Zionist aggression. As the British began to dismantle their Mandate [The British Mandate] and leave western Palestine, Israel’s War of Independence began (November 30, 1947‑May 14, 1948). During the war, Palestinian Arabs became belligerents in the conflict, and by its end, rather than accept a Jewish state after five-and-a-half months of warfare, Palestinian Arabs called upon their brethren from seven surrounding countries to invade and crush the nascent Jewish state. Six thousand Jews – 1 percent of Israel’s Jewish population – lost their lives during the War of Independence. The Arab League's April 10, 1948 decision to invade Israel and "save Palestine," marked a watershed event, for it changed the rules of the conflict. Accordingly, Israel bears no moral responsibility for deliberately banishing Palestinian Arabs in order to "consolidate defense arrangements" in strategic areas. With the pending invasion following Israel's declaration of independence, it is no exaggeration to say that the new Jewish state's very existence hung in the balance. Where the true genealogy of the Jewish people lies in Jerusalem. Because the truth is that we really have lost ourselves. We have forgotten that the Western Wall, for all its parts, is merely a vestibule, an atrium to the Temple Mount. We have forgotten that the status enjoyed by the Western Wall is simply derivative of what stood above it, the real thing: The Temple. On the one hand, we have the resounding struggle waged by the Women of the Wall for their right to pray, in their own way, at the Western Wall on the Temple Mount. On the other hand, we have police subjecting three young Jewish boys to a humiliating strip search to prevent the entry of Israeli flags into the Temple Mount compound about two weeks ago. These two events symbolize, more than anything else, the severe distortion and upheaval in Jewish awareness about the two holiest sites to the people of Israel -- the Temple Mount and the Western Wall. Because the truth is that we really have lost ourselves. We have forgotten that the Western Wall, for all its parts, is merely a vestibule, an atrium to the Temple Mount. We have forgotten that the status enjoyed by the Western Wall is simply derivative of what stood above it, the real thing: The Temple. We have also forgotten that had there not been a Halachic ban for many years on climbing to the Mount, which is still claimed by many, the Western Wall would not be the main attraction, but rather the Mount itself. The fact that today the vast majority of Jews pray at the Western Wall and not on the Temple Mount is a result of circumstances and not a choice. There are good, and not so good, Halachic reasons for this, and there are also diplomatic reasons, and common interests that tie the two types of reasons together. 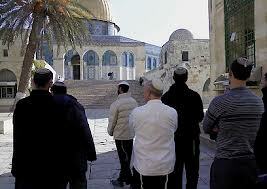 But the main culprits behind the absence of Jews from the Temple Mount are the Jews themselves. As sad as it is, the majority of the public is detached and disconnected from the Mount, feels no need to visit it, and as they say: out of sight, out of mind. The people of Israel have grown accustomed to the substitute, the Western Wall. It is true that it isn't always easy to visit the Temple Mount. The Muslim Waqf generally does everything in its power to perpetuate its sole ownership over the territory -- starting with disrespecting Jewish artifacts and through misrepresenting and rewriting Jewish history. Recently, it has even come to physically assaulting Jews who visit the Mount. It is also true that the police are also making the lives of the handful of Jews who are still faithful to the Mount miserable, and severely limiting the visitation possibilities. It is truly no great pleasure to walk around the Temple Mount with a Jewish police officer to your right and a Waqf official to your left, while every word you say, even while talking on your mobile phone, is monitored to make sure you don't mumble a forbidden prayer. The failure of many to truly understand the ‘root causes’ of the Israeli-Palestinian conflict and accurately contextualize news in the region is based in part on the MSM’s general tendency to ignore or significantly downplay the pervasive antisemitism and anti-Zionist agitation within Palestinian society. This blog’s ‘What the Guardian won’t report‘ series often focuses on such disturbing stories about the official Palestinian glorification of violence, racist indoctrination of their children and other such grossly underreported examples of the reactionary Palestinian political ethos which ‘genuine’ advocates for peace can not reasonably ignore. Whilst reasonable people can argue over what degree such Palestinian incitement represents an impediment to peace relative to other factors, such as the issue of Israeli “settlements”, the Guardian’s obsessive focus on the latter and their almost total silence about the former serves to grossly misinform their readers on the politics of the region. 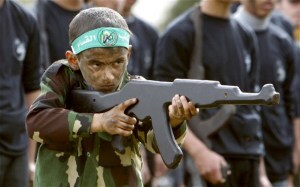 As such, it was encouraging to read a recent story by the Guardian’s Harriet Sherwood, entitled ’Gaza schoolboys being trained to use Kalashnikovs‘, April 28, which reports on news that Hamas is now providing Gaza schools with military training for young boys. The program, which includes the use of firearms and explosives, will likely be extended to girls next year. Israel at 65 - Transforming tough times into challenges and opportunities, while surging to new heights. Sixty five years of Arab terrorism and conventional warfare, fueled by global pressure on Israel, have been bumps on the road of the unprecedented Israeli surge, economically, technologically, medically and militarily to the benefit of the Jewish State and the Free World. At 65, Israel demonstrates that principle-driven, highly motivated and defiant societies are capable of transforming tough times into challenges and opportunities, while surging to new heights. At 65, Israel proves, once again, that pressuring the Jewish olive yields superb oil. At 65, Israel’s 6.3 million Jews include over three million Olim, who have constituted Israel’s most effective growth engine. The relative strength of Israel’s economy, the rise of global anti-Semitism, the gradual Islamification of Europe and the expansion of Jewish/Zionist education in major Jewish communities produce a potential wave of Aliya: 500,000 Olim during the next ten years from the former USSR, Germany, France, England, Latin America, USA, Canada and Australia. The Aliya waves of the 1930s, 1950s, 1970s and 1990s facilitated the establishment of the Jewish State and its defiance of severe military and economic challenges. The next Aliya wave – which awaits vision-driven pro-active leadership – will produce the critical strategic mass, which will overwhelm adversity and secure the long-term growth of the Jewish State. At 65, Israel is – in contrast to the tumultuous Arab Street – the only stable, predictable, reliable, capable, democratic and unconditional ally of the US regionally and globally. In 1969 and 1978, the Qadhaffi and Khomeini revolutions transformed Libya and Iran from pro – to anti - US regimes. In 2003, the rise of Erdogan changed Turkey from a US – to an Islamic - orientation. In 2012, the replacement of Mubarak by the Muslim Brotherhood terminated Egypt’s role as a US ally. A regime-change in Jordan, Saudi Arabia and other Gulf States would trigger a similar anti-US shift. On the other hand, Israel’s right, left, hawks and doves are inherently allies of the US. 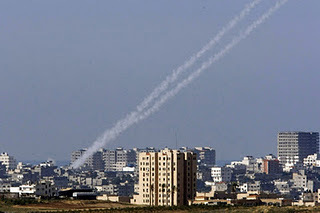 More rocket fire into Israel from Gaza, and again.. The missile-rich terrorists of Hamas-controlled Gaza directed their rocket fire at civilian targets in Israel again this past night (Sunday), managing only to harmlessly hit open fields in an unpopulated area of southern Israel's Eshkol region, near Ashkelon [source]. The last time a Gazan Qassam rocket was fired at an Israeli civilians - and missed - was 24 hours earlier. Missing is, of course, not the intention of the terrorists. They risk their lives in such attempts on the basis that the potential reward, measured in terms of Israeli lives and property, justifies the dangers. The sin of omission and the Dutch Media's embrace of it. About 5 million Dutch people believe that Israel is committing genocide. So says a study by the University of Bielefeld in Germany. The researchers asked 1,000 Dutchmen whether Israel is running a war of extermination against the Palestinians. More than 38 percent of those interviewed answered in the affirmative. I wrote an article about these widely held beliefs, which resemble the dark anti-Semitic views propagated during the Middle Ages. I sent it to two Dutch newspapers. Both refused to print it. It was then published on one of the Netherlands’ largest blogs, Dagelijkse Standaard. This blog is also read by journalists from the major Dutch papers, yet they did not publish anything on the study. Only a small Christian internet radio station, Pillar of Fire, whose editor was shocked by the report’s findings, contacted me for an interview. Many major Dutch media publish trivial items about Israel, as long as they are sufficiently negative. Both the abject belief of about 5 million Dutchmen and the media’s silence on the extreme hatred of Israel reflect aspects of what is radically wrong with Dutch society. However, I received some private reactions. Several were from whitewashers who said the findings were wrong. They ignored not only this German study, but also a 2003 Eurobarometer study which found that 59 percent of Europeans thought that Israel was the largest threat to world peace. 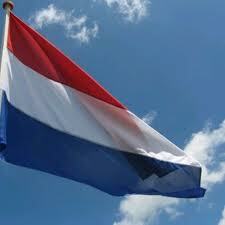 The percentage in the Netherlands was the highest among EU countries at 74 percent. 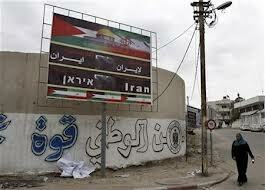 Is Iran attempting to set up a new arms smuggling route to Gaza? Following this week's revelation by Canadian officials that two suspects detained over a plot to blow up a passenger train had links to an al-Qaeda cell based in Iran, I now gather that the Islamic Republic is trying to link up with another radical Sunni Muslim group – the Palestinian Hamas movement in Gaza. Iran's vehement denials that it had any involvement in the Canada plot were based on the premise that Iran's Shi'ite Muslim ideology is at odds with al-Qaeda's rival Sunni Muslim rhetoric. But, as Iran's dealings with a variety of Sunni terror groups in recent years has shown, this is not always strictly the case. For example, in the past Iran has actively cooperative with the Sunni Taliban movement in neighouring Afghanistan, offering to supply them with anti-aircraft missiles to shoot down Nato warplanes even though the Taliban murdered a number of Iranian diplomats before the September 11 attacks. Iran also provided scores of al-Qaeda terrorists with a safe haven in Iran after the U.S.-led invasion of Afghanistan in 2001. Now, as I report in my column in today's Sunday Telegraph, Iran is trying to revive its links with Hamas by establishing a new supply route to ship arms to the Gaza Strip to be used against Israel. Iran has tried on many previous occasions to ship weapons to Hamas, but these have been foiled by the Israelis, whose navy has intercepted a number of ships trying to deliver weapons. Similarly an attempt to ship weapons overland from Sudan was also disrupted after Israeli warplanes bombed the storage facilities in Sudan last October. It may seem amazing, but in the wake of the Boston attack the Obama administration is pressuring Israel to free terrorists guilty of particularly heinous acts of murder. On Wednesday the Knesset “discussed America’s demand that Israel release terrorists as a good will gesture to the Palestinian Authority.” The demand is part of intensive efforts by Secretary of State John Kerry to revive Israeli-Palestinian negotiations on a peace settlement—efforts that are amazing in their own right considering that the Palestinian Authority has consistently shown for 20 years that it is incapable of accepting Israel and not interested in a state “living in peace” beside it. Kerry—with Iran at the brink of a nuclear capability, Syria a maelstrom of clashing terror factions, Egypt close to economic collapse, and North Korea threatening nuclear aggression—has in recent weeks been meeting with PA president Mahmoud Abbas in Ramallah, Riyadh, Amman, and Istanbul. 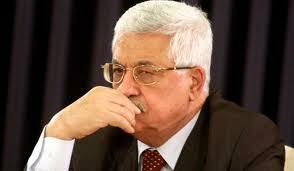 Abbas’s preconditions for resuming negotiations are the same as they have been for years: Israel committing beforehand to a withdrawal to indefensible borders, prohibiting Jewish building in Judea, Samaria, and parts of Jerusalem, and releasing terrorists from prison. Israel is reportedly, at this point, rejecting all these demands. 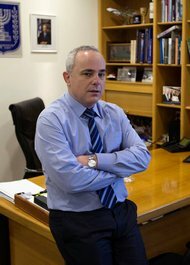 The Obama administration is also “preparing a multi-billion dollar economic initiative that would bring international businesses and major infrastructure projects to the West Bank”—again, nothing essentially new but, rather, part of a 20-year tradition of Israeli, U.S., and European efforts to bribe the Palestinians into adopting Western norms and practices of peace, prosperity, and tolerance. ● Rachel Weiss and her three young sons Ephraim, Netanel, and Raphael, all burned to death in a firebomb attack on a bus in the Jordan Valley in 1988. Hezbollah continues to be Hezbollah - Anyone surprised? A rare inside look at Hezbollah during a recent terror trial in Cyprus portrayed a militant group with the prowess of an intelligence service: meticulous overseas reconnaissance, Western operatives with elaborate covers, training at secret bases where recruits and instructors wear masks for maximum security. And the conviction last month of a confessed Hezbollah operative for doing terrorist surveillance of Israeli tourists has heated up a debate that continues to divide the West: Whether the European Union, like the United States and Israel, should designate Hezbollah as a terrorist group. 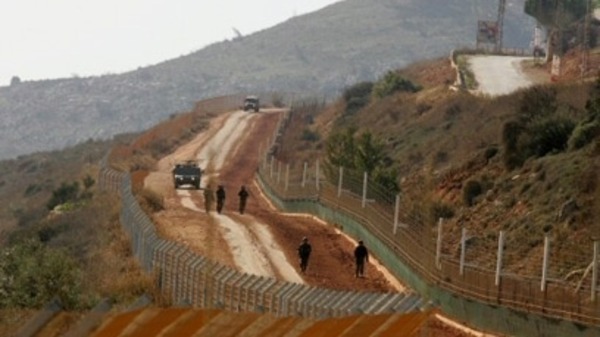 In a report to be published by a West Point think tank next week, a former U.S. counterterror official argues that the Cyprus case and an attack on Israelis in Bulgaria last year show that Hezbollah has returned to aggressive operations on European soil. Western counterterror agencies largely share that analysis, which has spurred a proposal by Britain for the European Union to designate Hezbollah’s military wing as a terrorist organization. Decisions in the 27-nation European Union move slowly through a bureaucratic labyrinth, especially on diplomatically sensitive questions. But the current debate departs from traditional European reluctance to confront a militant group that is a powerhouse in the government and on the streets of Lebanon. In Paris, Berlin and other capitals, the terrorist activity and Hezbollah’s military support for the Assad regime in Syria’s civil war have challenged a strategy of maintaining cordial relations with Hezbollah to prevent retaliation and preserve diplomatic leverage. 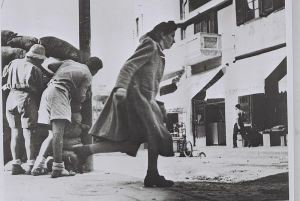 The release by the British National Archives in London in April 2013 of the records, previously secret files, of the British Mandate Administration in Palestine are revealing and invaluable for an understanding of contemporary attitudes towards Israel. 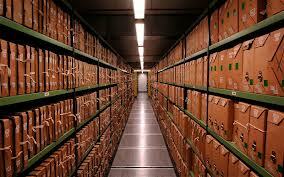 The files dispose in what should be a final and definitive fashion of the concept, the simple and histrionic one, asserted by the Palestinian Narrative of a Nakba, or catastrophe, resulting from the establishment of Israel. The true Nakba, it should now be clear, comes from the refusal of Arab states and Palestinians to accept the United Nations General Assembly Partition Resolution 181 of November 29, 1947 and thus a peaceful settlement of the conflict with Israel. The documents reveal that unlike the Jewish response to the Resolution, that of the Arabs was "a mood of bitterness and universal suspicion." Not surprisingly, the documents show the British lack of sympathy, overt distaste, and even hostility for the Jewish Yishuv in Palestine, and they comment on the increase in Jewish settlement on the land. The British administrators stated that the Jews were willing to go "to any lengths to achieve their aims." Though they refer to atrocities on both sides, they more frequently mention Jewish terrorist groups that were attacking both British forces and Arab fighters in the weeks before Israel was established. One report of October 1947 mentions an interview by Menachem Begin, then head of Irgun, that "the fight against the British invader would continue until the last one left Palestine." Another report presents the Arab version of the killings, by a Jewish militia attempting to end the blockade of Jerusalem by Arab forces, that occurred on April 9, 1948 in the Palestinian village of Deir Yassin, the details of which are still disputed (though Palestinians and Arabs have continually used it for propaganda effect). 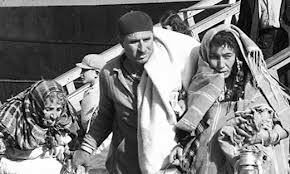 It also explains, if not defends, the massacre on April 13, 1948 by Arabs of 79 Jewish doctors and nurses in the convoy bringing supplies to the Hadassah Hospital on Mount Scopus as a response to Deir Yassin. An extremely hostile view of Jews was expressed by Sir Alan Cunningham, High Commissioner of Palestine, who wrote on April 30, 1948 that the Jewish broadcasts about their military activity "both in content and in manner of delivery, are remarkably like those of Nazi Germany." The documents also argue that the Jewish public endorsed the view of their leaders that "terrorism is a natural consequence of the general policy of His Majesty's Government." Most important in this was the British refusal to allow Jews, especially those coming out of Nazi concentration camps, to enter Palestine, and the British hostility to "illegal" immigrants. What is most important in these documents is the implicit rejection of the Palestinian narrative of catastrophe that has been embraced by so many groups and individuals. This is the validation by the British, themselves, so unsympathetic to the Jewish community, that the Arab attacks on Jews took place before the State of Israel was established on May 14, 1948. The documents record that in early 1948, the Arabs "had suffered a series of overwhelming defeats." The consequence was that the Jewish military victories "have reduced Arab morale to zero and, following the cowardly example of their inept leaders, they are fleeing from the mixed areas in their thousands. It is now obvious that the only hope of regaining their position lies in the regular armies of the Arab states." Canada - Saved from deportation if they persuade court they are "Palestinian"
Here's a follow up to "22-Apr-13: Tentacles in Canada, and the Iranians are behind it according to police". Questions are now being asked in Canada that highlight a series of governmental decisions about one (at least) of the two men accused of plotting to carry out a terrorist attack on an interurban train. They're questions that ought to get some wider airing, and they come from Canada's minister of citizenship and immigration, Jason Kenney. 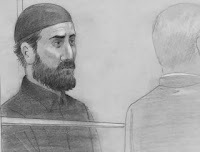 They are about Raed Jaser, 35, accused along with Chiheb Esseghaier, 30, of planning to derail a Via Rail passenger train in what the Canadian authorities are calling an "al-Qaeda supported" attack. Terrorism-related charges [detailed here] have been brought against the two. From a CBC report, the government minister framed his concerns this way. Mohamed Jaser, with his wife, his son Jaser and two other children, travelled from Germany where they had been living, equipped with fake French passports, arriving in Canada on March 28, 1993. They applied immediately for asylum as refugees. Jaser was a boy of 10. He had been born in the United Arab Emirates, though he did not hold UAE citizenship. The family's request for refugee status was denied. They appealed, and must have succeeded because the report says they eventually became Canadian citizens. Jaser, however, did not - evidently because of a proclivity for engaging in crime. He had acquired five separate fraud-related criminal convictions and was also convicted of making death threats by the time the citizenship application was heard. These offences rendered him ineligible for citizenship. In 2004, the Canadian government served a deportation order on him. In court - despite the government's claims that he should remain in detention - Jaser's lawyer successfully argued that Jaser could not be deported because, as a Palestinian, he was stateless. Some time after that, Jaser received a pardon - why is not clear - and granted permanent residency status in Canada. Kenney says, as minister of citizenship and immigration, that the pardon and permanent residency given as gifts to the accused terrorist happened because of "old policies." Canada had recently legislated the Faster Removal of Foreign Criminals Act, a law designed to make it easier for Canada to expel foreigners who have faced six months or more in jail for a crime committed in Canada. became worried enough about his son’s religious views to ask others in the community for assistance that apparently never came through, and another two before a Toronto imam approached police through a lawyer, concerned about Jaser’s influence on youth. By the summer of 2012, he was under RCMP surveillance as part of an investigation that would ultimately see him and 30-year-old Chiheb Esseghaier arrested, accused of terrorist conspiracy and plotting to attack a passenger train... [more]. The parents' story [source] keeps coming back to their Palestinianism. It is Lag BaOmer, an obscure holiday to most, even to those who come to the fires. The remnants of the Jewish Revolt against the might of the Roman Empire are remembered as days of deprivation in memory of the thousands of students dying in the war, until the thirty-third day of the Biblical Omer, part of the way between Passover and Shavuot, the day when Jerusalem was liberated. The circle of men whirls around the fire, hand in hand, hand catching hand, drawing in newcomers into the ring that races around and around in the growing darkness. A melody thumps through the speakers teetering unevenly with the bass, the sound is both old and new, a mix of the past and the present, like the participants in the dance, the traditional garments mixing with jeans and t-shirts until it is all a blur. Deprived of music for weeks, it rolls back in waves through speakers, from horns blown by children and a makeshift drum echoing an ancient celebration when men danced around fires and shot arrows into the air. The fires and bows have remained a part of Lag BaOmer, even when hardly anyone remembers the true reason for them. The new Yom Yerushalayim, the day of the liberation of the city, is coming up soon, but the old Yom Yerushalaim, came thousands of years ago and ten days before it on the calendar. Time is a wheel, and, like a circle, everything comes around again. Hands pulling on hands, years pulling on years, on and on like the orbits of planets and stars. The Divine Hand of G-d pulls us along, and we pull each other in the dance of life. The circle speeds up, men racing faster and faster, the children left behind, as the flames sputter and night falls. The rebellion, although bravely fought, failed, and Jerusalem fell again, and then Betar. The joy of the celebration turned to ashes, but, even in the shadow of the empire, their spirit endured. The stories were changed a little, the rebellion encoded into a story of Rabbi Akiva, the pivotal scholarly figure in the war, and of his students who perished because they had not been able to get along with one another. The failure of unity had been the underlying reason for the Roman conquest and the Jewish defeats. It is the ancient lesson still unlearned that the circle of the dance teaches us. Lag BaOmer is not the first Jewish story of physically and spiritual heroism to be encoded for fear of the enemy. There is much that we know, without knowing what it truly means, messages from the past, that exist only as echoes reminding us of our purpose. Few of those in the circle passing around the flame know what they are truly commemorating and yet the act is its own commemoration. Thousands of years later the echo of a fierce joy, the pride of a people emerging out of a momentary darkness in a burst of wild energy, is still here. Though the details are forgotten, the joy endures, the song is sung and the fire still burns. In the darkness, there is nothing but the fire and the dark shapes racing around it, leaping with the guttering flames. A teenager pours oil on the flames and they rise higher and higher. A new song begins but they are all the same song. Even the new songs are old. The music changes, but the words remain the same. Arms rise and fall, feet kick and the participants run around the fire only to end up right back where they began. 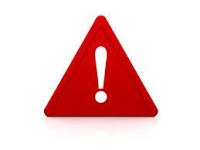 Codemaking is a dangerous business, for the keys to the code can be forgotten. In Spain and in the American Southwest there are men and women who keep odd rituals, but who no longer remember that the reason they keep them is because they are descended from Jewish Conversos. They have lost the most important part of the code, the part that explains everything. The men dancing around the fire have not lost that. They may not remember the liberation of Jerusalem, but their feet remember it, their arms remember it, their hearts remember it and most of all they remember who they are. They retain the key to the entire code. They remember that they are Jews. And we wonder why they so often get the Middle East wrong. 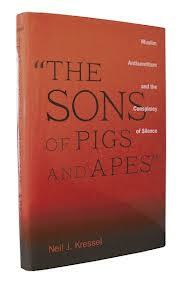 But what moved Neil Kressel, a professor of psychology at William Patterson University, to write The Sons of Pigs and Apes wasn’t merely the existence of this hatred; rather, Krausz noted, it was his dismay over “what he sees as a blind spot — ‘a conspiracy of silence’ — among Western academics, policymakers and journalists about the extent of Muslim anti-Semitism.” Policymakers may not actually belong in this list; I suspect many are genuinely ignorant about this hatred. But if they are, it’s because of this “conspiracy of silence”: The journalists and academics whose job it is to inform them consistently fail to do so. Did U.S. Policymakers Learn Anything about the Middle East in Forty Years? 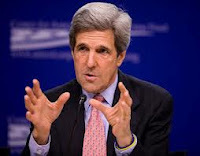 Now the Washington Post has published an editorial titled, “John Kerry’s efforts in Middle East could lay groundwork for success.” Yes, once again we are on the verge of progress! Yet in a real way the editorial is realistic. The success predicted for Kerry merely maintains the status quo of not having peace. Expectations have been considerably lowered yet the fiction must be maintained that peace is almost at hand and thus this issue should be a very high priority for U.S. diplomacy. This is not a reference to the “Arab Spring.” No, it’s from a dispatch sent from the U.S. embassy in Saudi Arabia, January 9, 1975. It concluded that the lack of peace in the Arab-Israeli conflict was Israel’s fault. That dispatch could be published — as we will see in a moment—word for word today, 38 years later, with just as little accuracy. The dispatch reflects the unshakable premise — well, from time to time it does decline or disappear for a while — that the Arab side really wants peace, that Israel is not so much threatened but paranoid, that Israel doesn’t think enough about making peace, and that conditions in the Arab world demonstrate that peace is possible or even imminent. What was happening at that point in time? The PLO was energetically pursuing terrorism, including deliberate operations against Israeli civilians, and openly declaring that it would never make peace with Israel and that if it got a West Bank-Gaza Palestinian state it would use that as a springboard for wiping out the remainder of Israel. Lebanon was a country where the PLO could operate with complete freedom of action, controlling the south and launching cross-border attacks whenever it pleased. Syria and Iraq were ruled by radical Ba’thist regimes dedicated to Israel’s destruction and sponsoring terrorism. Egypt was about to be engaged by Israel in secret negotiations while constant behind-the-scenes discussions were being held by Israel with Jordan. Yes, in Egypt President Anwar al-Sadat was thinking about the usefulness of peace with Israel as a solution to Egypt’s woes. But let’s also remember that after he made peace, Egypt was isolated by every other Arab states and denounced by them (and the PLO). And of course Sadat was assassinated. And of course while the peace treaty survived, much of it wasn’t implemented. Of course, though Israel did seize the opportunity of making peace with Egypt at the price of material concessions. The PLO only took about two decades more and being on the verge of extinction before it agreed to negotiate. And then it broke its commitments and rejected a two-state solution. And what was the name of the supposedly hard-line, closed minded prime minister of Israel at that time who just refused to take the obvious steps that would have allegedly brought peace? Answer: Yitzhak Rabin. A serious paradigm would understand that for deep-seated structural reasons the Middle East was not on the verge of comprehensive peace then and the same applies to today. The army jeep rolls to a halt and Lieutenant Colonel Magdi Mazarib hops off the back to take a closer look at the dirt path running along Israel’s border fence with Lebanon. He kneels, his sharp eyes scouring an unassuming constellation of pebbles, possible proof of an unwanted entry into Israel, and satisfied with what he sees, he jumps back onto the jeep and trundles away down the track. Mazarib is a Bedouin, a Muslim Arab who grew up in northern Israel, intimate with its green, hilly landscape from an early age. He is also the Israeli army’s highest-ranking tracker and commands a small unit of Bedouin soldiers who use their field craft skills to serve as the Jewish state’s gatekeepers. As part of a minority within the Arab Israeli community, itself a minority among the Jews of Israel, Mazarib is at ease protecting his country’s borders from other Arabs, fellow Muslims. “This is our country,” he states simply in perfect Hebrew with a light Arabic accent. And its Jewish symbols, such as the Star of David or the theme of the national anthem, do not perturb Mazarib. “The flag of England also has a cross on it, and the Jews there are fine with it,” he says during a tour of the Bedouin Heritage Centre which houses a memorial to the 182 Bedouin killed fighting for Israel. The amiable and composed officer, who with a shaved head, Hermes cologne and long, delicate fingers could pass for a business executive, believes that his fellow Bedouin across the Middle East are even envious of the way those in Israel live. Bedouin are not the only native Arabic speakers in the Israeli military, with members of Israel’s Druze and Circassian minorities enlisting, but they dominate the small, elite tracker units guarding the country’s northern and southern borders. What is the link between Boston and al-Aqsa? 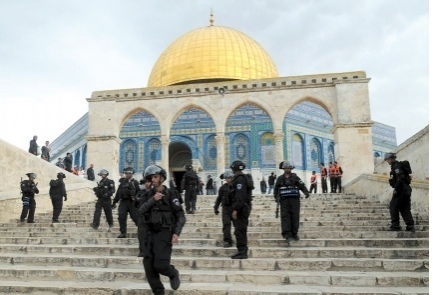 The conceptual link between global terror and al-Aqsa, experts say, is a problem that mainly threatens Europe and the U.S., but the escalation of violence on the Temple Mount itself is a problem that is all ours -- and it must be addressed urgently. What is the link between Chechen jihadists, with whom the Tsarnaev brothers -- the alleged terrorists who set off bombs at the Boston Marathon last week -- were thought to have been affiliated, and the inspiration for an east Jerusalem terror cell that reportedly planned to murder Jewish worshippers and police officers on the Temple Mount several weeks ago? How is the ideology that motivated the Boston bombing as well as the foiled Temple Mount terror attempt connected to the Islamic "party of liberation" Hizb ut-Tahrir, which operates within the Palestinian Authority, in east Jerusalem and in secret terror cells in Europe? And what is the relationship between some of the terror cells that have come out of the Israeli Arab population in recent years and these sources of inspiration? The answer to these questions lies in religious publications, in sermons, in various websites and in Muslim books of religious law. Various surveillance and assessment bodies that deal with this type of material have held the following belief for quite some time: Islamic terror, in terms of its general worldview, boils down to the vision of establishing a global Islamic caliphate, in the spirit of the Prophet Muhammad, with Jerusalem as its capital. A particularly vocal supporter of this vision is Sheikh Raad Salah, the head of the northern chapter of the Islamic Movement in Israel, who calls himself "Sheikh al-Aqsa." This vision is shared by at least some of the spiritual authorities that preside over international jihadist terror, which has many offshoots. Jerusalem and al-Aqsa, which have always been regarded as central symbols, have recently begun to play a more central role in the incitement and calls for battle: "Al-Aqsa is in danger." Today, the Muslim world openly blames Israel for planning and trying to destroy their holy mosque. The prevalent description of the al-Aqsa compound as being "held captive, under threat, desecrated and defiled" by Jews and Israelis, fans the flames and injects adrenaline directly into the arteries of jihadist terrorists around the globe. This process -- interpreting the "al-Aqsa is in danger" call as a green light to perpetrate terror and as a rubber stamp that legitimizes jihadist terror -- has been ongoing for years. There are countless examples. Intelligence agencies in Israel and around the world have plenty of examples on record, but the general public is seldom exposed to them. They suggest a conceptual connection between global terror and al-Aqsa. They also suggest a similar conceptual connection between global jihad and the story in Chechnya, where the al-Aqsa mosque also serves as the connecting link. It didn’t seem that way, but this day – April 26 – exactly 65 years ago was pivotal in yet-to-be-born Israel’s history. Its little-celebrated and hardly remembered events remain central for debunking the lies about the circumstances of the Jewish state’s inception. Its trials and tribulations tell a unique story of individual courage and defiant daring quite literally against all odds. Yet shamefully too few – even among us – are at all aware of it. As time goes by, the numbers only dwindle. April 26, 1948 was shaping up to be quite a dismal day. The single exception was the fact that on that day the IZL (Irgun Zvai Leumi) and the large Labor-led Hagana signed a cooperation agreement whereby the Irgun undertook to carry out only missions beforehand authorized by the Hagana, as well as to assume whatever operational roles the Hagana would assign it. The evening of April 26 was particularly wretched for Menachem Begin. In his role as IZL commander he had decided to halt the Irgun’s attack on Jaffa’s Manshiyeh quarter, then already in its second ill-fated day. Azzam’s bluster was intended to instill fear but, by any objective criteria, there indeed was plenty to fear. The Arabs had vehemently rejected the November 29, 1947 UN Partition Resolution that would have created Jewish Israel and Arab Palestine side-by-side in this country. They weren’t interested in a Palestinian state. They wanted to destroy the projected Jewish state, although it was granted only disjointed and quite untenable territorial mini-shreds. Even stunted and inherently unsustainable Jewish statehood couldn’t be tolerated by those who now portray themselves as Israel’s hapless victims. From pre-dawn on November 30, they instigated a relentless bloodletting throughout the land. They also began urging local Arabs to flee temporarily to make way for the invading Arab armies. Palestinian journalists have declared an intifada against their Israeli colleagues. In recent weeks, Israeli journalists who cover Palestinian affairs have been facing increased threats from Palestinian reporters. 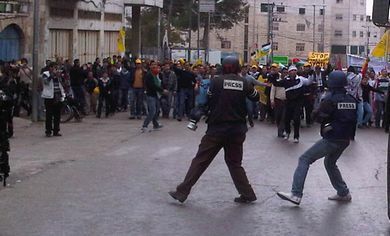 On a number of occasions, the threats included acts of violence against the Israeli journalists, particularly in Ramallah. Human rights organizations and groups claiming to defend freedom of media have failed to condemn the campaign of intimidation waged by Palestinian journalists against their Israeli fellow-journaists. It is one thing when governments and dictators go after journalists, but a completely different thing when journalists start targeting their counterparts. An Israeli journalist had his microphone damaged during an assault, while another was thrown out of a press conference. Behind the two incidents were Palestinian journalists, angered by the presence of Israelis in Ramallah and other Palestinian cities. The threats and harassment came as more than 200 Palestinian journalists signed a petition, for the first time ever, calling on the Palestinian Authority to ban Israeli correspondents from operating in its territories "without permission." The Palestinian Authority, for its part, has complied, issuing instructions requiring Israeli journalists to obtain permission from its Ministry of Information before entering Palestinian cities. Palestinian Authority officials and journalists later explained that the ban does not apply to some journalists working for the Israeli daily Ha'aretz and who report on "Palestinian suffering." Love and determination brought justice despite the pain and anguish of loss. The dignity of Michael Palmer, and the aura of love as he gave testimony describing what he and his family have been going through since the brutal murders of his son and grandson, Asher and Yonatan Hy"d, brought both reality and anguish into the courtroom. Friday, September 23, 2011 not only changed the lives of the Palmer family with the brutal murders of Asher and Yonatan by the gang of Arab terrorists who planned, practiced and carried out the murders, but changed much more than that. With unbearable pain of the loss of his loved ones, Michael made a fateful, and until now, unusual decision. He decided to be actively involved in the trials of the murdering terrorists of his loved ones. He hired a lawyer, Adv. Adrian Agassi to help ensure that maximum justice be achieved. He then took yet another unprecedented step by asking us, friends and family to establish a presence in the military court as the trials took place. This has never been done before by families of victims of terror. And then he agreed to my request to make copies of a photograph of Asher and Yonatan for us to hold against us before and during the trials. Week after week, month after month for over a year and a half Michael traveled from Kiryat Arba to Opher Military Prison and the military court that is trying the terror gang that perpetrated and carried out the numerous terror attacks, one of which resulted in the tragic murder of Asher and Yonatan z"l.
The effect of having hired Adv. Adrian Agassi , and with us being there with Michael during the nightmare of facing the murderers had an enormous effect on both the prison guards, the judges and prosecution and especially the terrorists and their defense lawyers. This case became something different from all of the other trials taking place in the military court. This case became human, it had faces - not merely more names and it brought the reality of the pain of loss into that Military Court. As it Goes with Israel, ... Where's the Coverage? The Secretary of Defense's Epiphany? Is Jordan Palestine? Should Jordan be Palestine? Who’s the Boss? Turks Show Kerry. Blind to Terrorism in Israel? Who else? "The Right of Return" - "What 'Right' of Return?" Tears don't protect against murder. Bullets do.